Growing up in a volleyball family, Chris Kilkelly developed skills. He knew about each of the positions, their roles and their purpose, and became a pretty fair setter while helping older sister Rachel practice her attacks. So it’s no surprise that Chris came to love the sport. Problem was, his time as a volleyball player ended when the impromptu practice sessions ended. Volleyball competition for boys was not offered in Minnesota schools and was restricted to a few random club teams. 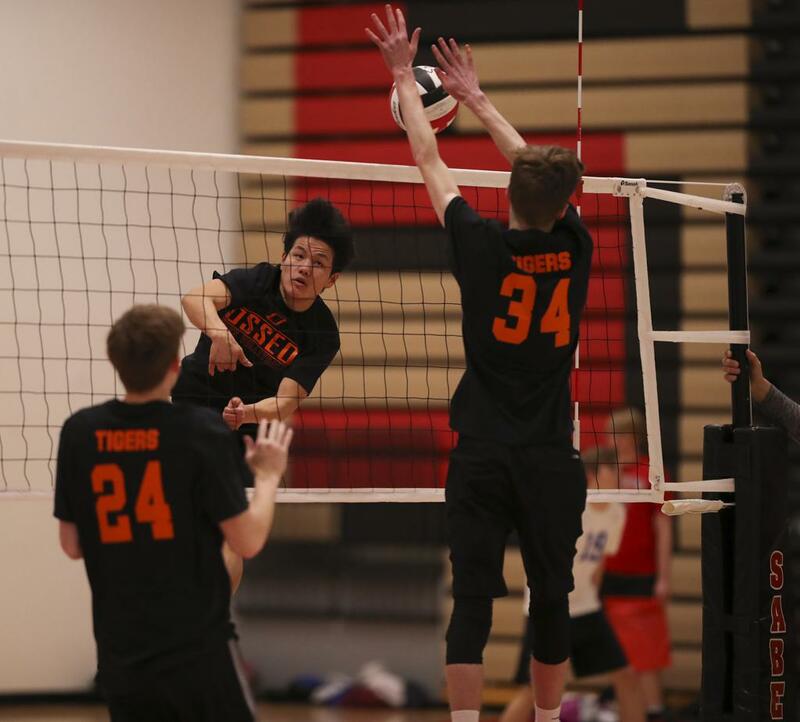 The Minnesota Boys’ High School Volleyball League kicked off its first season of play April 9 with 39 matches at five school gyms around the metro area. The league has 21 schools and 38 teams, counting JV, with more than 400 boys on their rosters. It’s the brainchild of Minnesota Hall of Fame volleyball coach Walt Weaver and University of Minnesota volleyball coach Hugh McCutcheon, who felt the time was right bring Minnesota’s most popular girls’ high school sport to boys. Weaver, who coached Apple Valley and Lakeville North to girls’ volleyball state championships, had been a promoter of boys’ volleyball since his early days as a coach and teacher at Rosemount in the 1970s. But it never gained traction. Two generations later, volleyball has the largest number of participants of any girls’ sport sponsored by the Minnesota State High School League. To Weaver and McCutcheon, the times seemed ripe to give boys’ volleyball a try. “It’s a logical extension of volleyball in Minnesota,” said McCutcheon, who coached the USA men’s team to Olympic gold in 2008 and the USA women to a silver medal in 2012. McCutcheon pointed out that successful women’s collegiate programs tend to come from states that also have a thriving boys’ volleyball scene. It’s a long way from a casual conversation about starting a boys’ volleyball platform to actually building one. For that, Weaver and McCutcheon turned to a pair of Shakopee volleyball junkies — girls’ assistant coach Krista Flemming and Jenny Kilkelly, (mother of Chris and future Gopher Rachel, now a senior at Shakopee). They jumped at the chance. While Weaver and McCutcheon spread the word, Flemming and Kilkelly spent six months developing a plan and building a base. When they put the word out that they were planning a boys’ volleyball league, the response was much stronger than anticipated. Having McCutcheon as a backer has boosted interest in the league. “To have support coming from a coach who has been very successful in all of his USA Volleyball platforms, it’s a driving force,” Kilkelly said. The strong relationship between high school and club teams in Minnesota has been a major factor in the sport’s overall health. That’s why the success of this high school venture is of keen interest to club teams across the state. North Country Region Volleyball, which oversees amateur volleyball in the upper Midwest for USA Volleyball, partnered with the boys’ league to provide insurance coverage for players. The payback is expected to come in the form of increased club enrollment. The ultimate goal is to have the high school league approve boys’ volleyball as an official league-sanctioned sport. Last October, a proposal to add boys’ volleyball was made to member schools and region committees. It didn’t receive enough support to be forwarded to the league’s representative assembly, but supporters believe it’s only a matter of time before it’s added. Shakopee senior Brody Luce also grew up with volleyball-playing sisters and plays libero for one of Shakopee’s two varsity teams. He was hooked from Day 1. Chris Kilkelly, who sets for one of Shakopee’s JV teams, thinks the sport is taking off.